Shyam Bhatia is a foreign correspondent currently living in London. He has operated and reported out of Cairo, Beirut, Jerusalem and Washington DC. He has been the Middle East correspondent and diplomatic editor of The Observer, foreign editor of the Deccan Herald and editor of Asian Affairs magazine. In 1994 he was selected as Foreign Journalist of the Year in the annual British Press Awards. 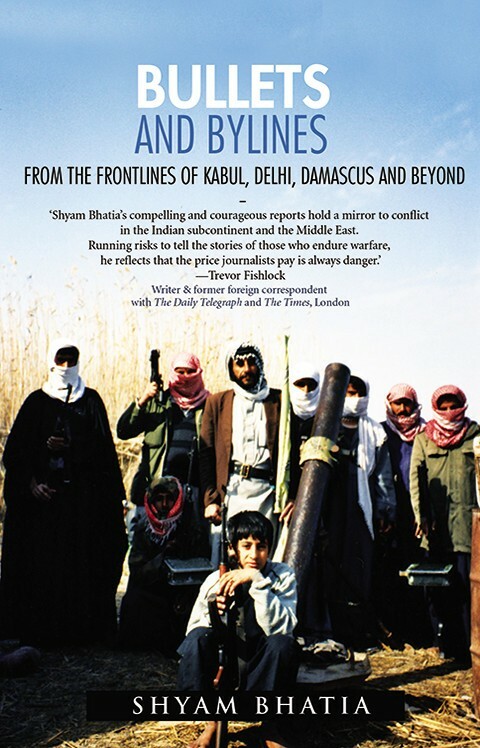 His book Bullets and Bylines is an account of his years as a stringer and then Middle East correspondent for The Observer. Since the region has been a conflict zone for so long now, covering the Middle East at any point is fraught with danger and Mr Bhatia’s stories offer a glimpse of what reporting from these countries can be like. One’s life is always in danger – witnessing the massacre of innocents on a Kabul to Kandahar bus because they held red identity cards (red being synonymous with the Soviet communists) and being allowed to live; watching a fellow reporter lose his life in a landmine blow-up and crawling for six hours to safety; the perils of getting reliable information. While Mr Bhatia managed to get reliable informants he also got conned a number of times! Being tracked and followed, threatened overtly and being asked to handover photographs and articles for review before they were sent to his newspaper were the norm. Nothing is what it seems like, and often Mr Bhatia realizes after a disaster that people he trusted were government informants or secret service agents acting as journalists! While most of the stories are bizarre, horrifying, informative or amusing, the ones on Pakistan seemed not so plausible. Of the nuclear scientist, or nuclear thief, A Q Khan and of Mr Bhatia’s closeness to Benazir Bhutto (who he refers to as Pinky) that made her share Pakistan’s nuclear secrets with him! 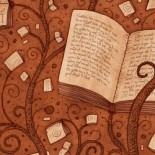 But these are his stories and may be completely true as well! Being a reporter also means gaining access to world leaders and Mr Bhatia’s accounts of Yasser Arafat, Saddam Hussain and Ayatolla Khomeini are insightful, and shed light on the events that have unfolded and shaped their countries. Mr Bhatia’s perspectives don’t often fit the western media reporting, and you get a glimpse of other angles of the story that makes headlines. From the religious slaughters in Sudan to the Israeli-Palestine conflict over territory and identity, his insights are multi-layered and nuanced. Mr Bhatia is a British journalist of Indian origin and it was interesting to read how he slipped into his ethnicity when he needed to find a way out.An Indian American journalist I interviewed also shared that her ‘Indianness’ gave the locals confidence and faith that she understood their situation!! And his singing the Raj Kapoor song to escape trouble reminded me of my own experience in Syria where the soldiers sang songs from ‘Sangam’ as they surrounded our car in the 1982 crackdown against Muslim Brotherhood. I loved the book, and recommend it to anyone who loves the Middle East and its stories, and to budding journalists who want to report from conflict zones…it is fraught with danger and is hard yet totally rewarding! This entry was posted on February 22, 2016 by Preeti Singh in Book Reviews, Contemporary, Memoir, Non Fiction and tagged Bullets and Bylines, conflict, middle east, Shyam Bhatia, Speaking Tiger.